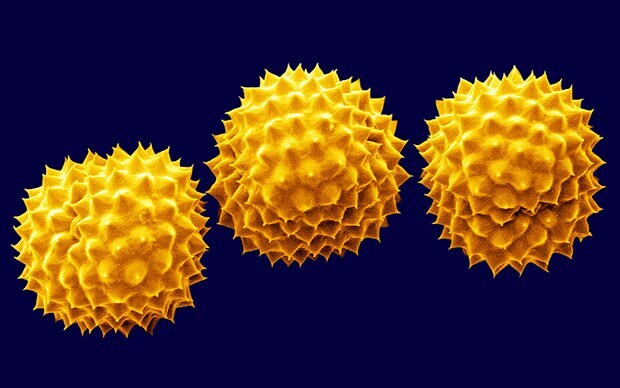 Pollen Collection: Who's in your schoolyard? Both asters and goldenrods dominate roadsides and old fields at this time of year. 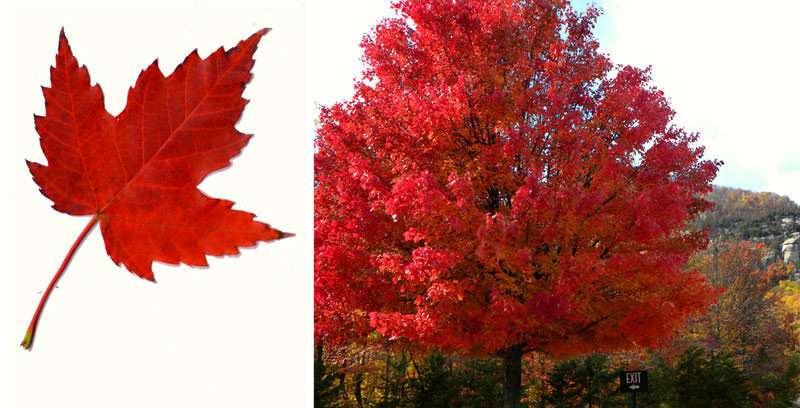 While each group is very easily identified by either their small, sunflower-like, purple, violet or white flowers (asters), or their sprigs of tiny, yellow-gold flowers (goldenrods), there may be several to many species in your area. Goldenrods in particular have gotten a bad, and completely undeserved, reputation as a cause of hay fever, or fall allergies. In fact, the culprit is usually lurking at the base of these showy flowers: Common Ragweed. While goldenrod species have a heavy pollen carried by insects (thus the showy flowers), the inconspicuous ragweed flowers produce millions of light, spiky pollen grains designed to be carried on the wind, only a few of which are enough to cause allergy symptoms. Interestingly, ragweed is also in the aster family. These flowers anchor a diverse food web which includes Honey Bees, wasps, long-horned beetles, soldier beetles, ambush bugs, Monarch Butterflies, Goldenrod Spiders and hoverflies, which mimic bees or wasps. Another fly attracted to goldenrod, in particular Tall Goldenrod (Solidago canadensis var. 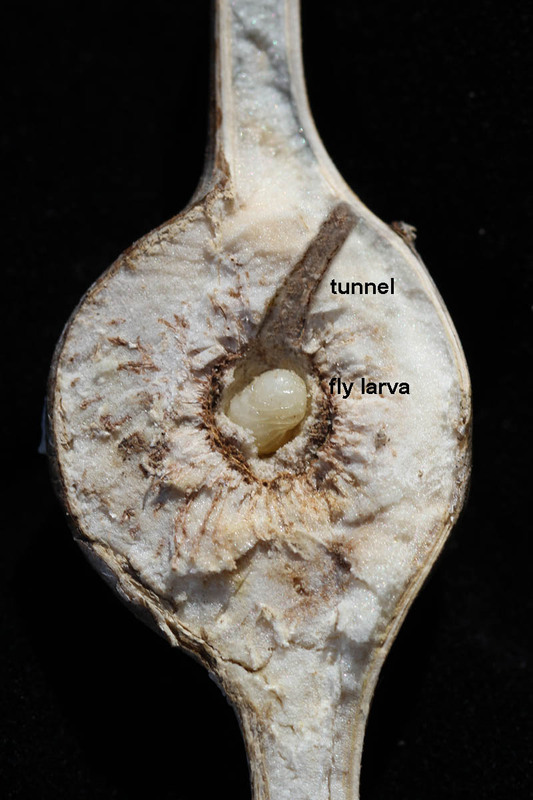 scabra), is the Goldenrod Gall Fly (Eurosta solidaginis), a highly-adapted fruit fly which lays its eggs in the plant’s stem, producing galls within which the larvae develop and overwinter (they are very common along our roadsides now). 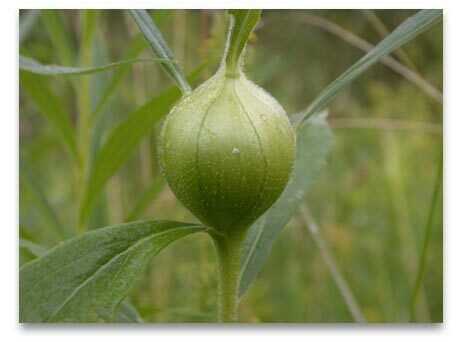 There is only one larva per gall, but a stem may have more than one gall. Before entering diapause (a form of dormancy) for the winter the larvae will eat a route out (leaving the ‘skin’ of the gall intact) to use in the spring. Even inside this protective dome, the larva has perils and is preyed on by parasitic wasp and beetle larvae. We will add to the larvae’s predators come winter time. White-throated Sparrows are arriving from further north, and will be around for several weeks. Look for them at backyard feeders, or scatter sunflower seeds on the ground close to cover. Migrating Broad-winged Hawks are high in the sky on NW winds. Lake Ontario is currently a hot spot for viewing as the hawks skirt the lake enroute south. For information and viewing tips for these and other hawk species in your area check out the HMANA site.Just after a cold front is a good time to see many migrating birds, as they get an extra push from the north wind. Ruby-throated Hummingbirds are leaving – keep an eye on feeders for a final fill-up before departure, and look to track them as they move south. 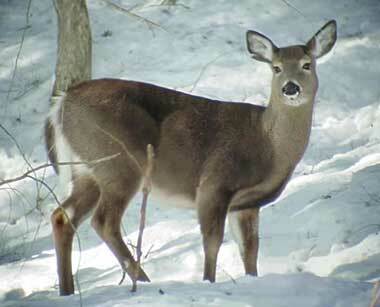 White-tailed Deer are getting their warmer, gray-brown winter coat, and bucks are rubbing the velvet off their antlers in preparation for the rut. Small groups of bats will be on the move in the evenings, migrating south (Red, Hoary and Silver-haired) or to hibernation sites (Big Brown and Little Brown). 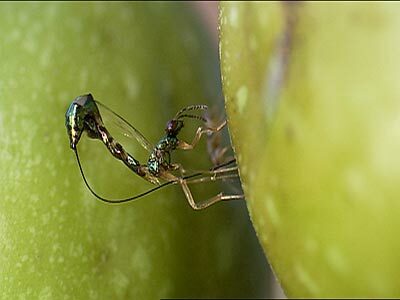 Mating may also take place, though the sperm is stored in the female until spring, when ovulation and fertilization happen. Frogs are on the move to their hibernation sites in streams, ponds and rivers, particularly on warm, wet evenings. Avoid low-lying roads at that time! Think about getting involved in Frog Watch. Baby turtles are hatching. 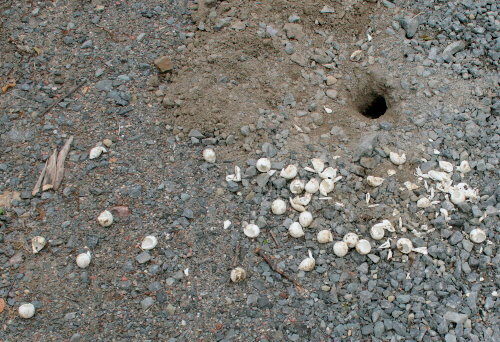 Look for shallow pits in gravely areas near water, and you may find the discarded eggshells. This year at Step Outside, we covered our own Snapping Turtle nests with chickenwire screens, and await the results. In previous years, they had been dug up by Skunks, Coyotes or coydogs earlier in the summer. 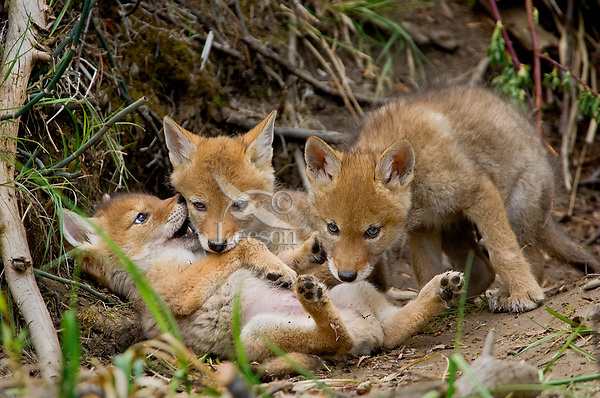 Bad for the snappers, good for the Coyote pups. One of two snappers to lay eggs in our driveway. Screen enclosure protects nest until scent is gone. Photo credit: Alan Crook. Permission is granted to reprint with attribution. Beechdrops bloom. Mushrooms pop up in woodlands – be careful, some are poisonous! There are seasonal colours underwater too! Brook Trout are feeding closer to shore and sometimes sun themselves. The orange and red pigments on the males are acquired from consuming crustacean bodies. Brook Trout will spawn in late October to late November. Some of those smaller crustaceans, particularly Daphnia, are in trouble. 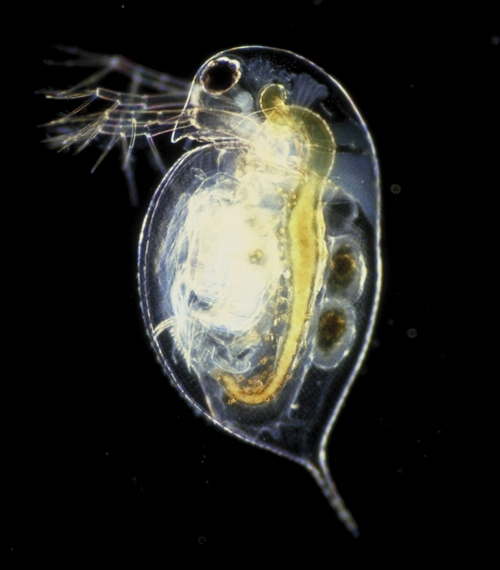 A key element of the food web, Daphnia is declining due to lower levels of calcium in eastern Canadian lakes affected in the late 20th century by acid rain. A small, jelly-covered invertebrate called Holopedium is filling the gap but not the food web, and may also clog intake pipes and filtration systems. Everything is connected. If you want to get a jump on the winter sky, Orion can be seen to the southeast just before dawn. The moon does a slow tour by Venus and Jupiter September 11-13, then Saturn and Mars the 17th-19th.